Old Tom Turkey lived on a hill. Goodbye now friend, it’s time to go. I had children and parents partner-up for this active song. Call out instructions during the song. 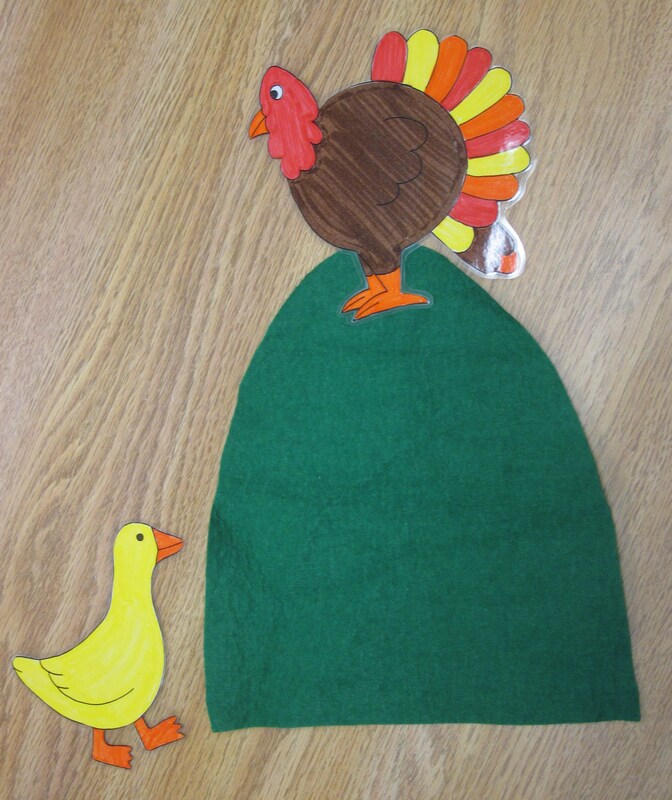 A new take on the classic song “Over the River and Through the Woods.” In this book we meet a turkey family who encounters some trouble on the way to Grandmother’s house. The entertaining pictures tell the story in this one. For storytime, I pre-read this by telling the story through the pictures. Then we go back through and sing “Over the River” along with the book. CRAFT: Why turkey’s, of course! 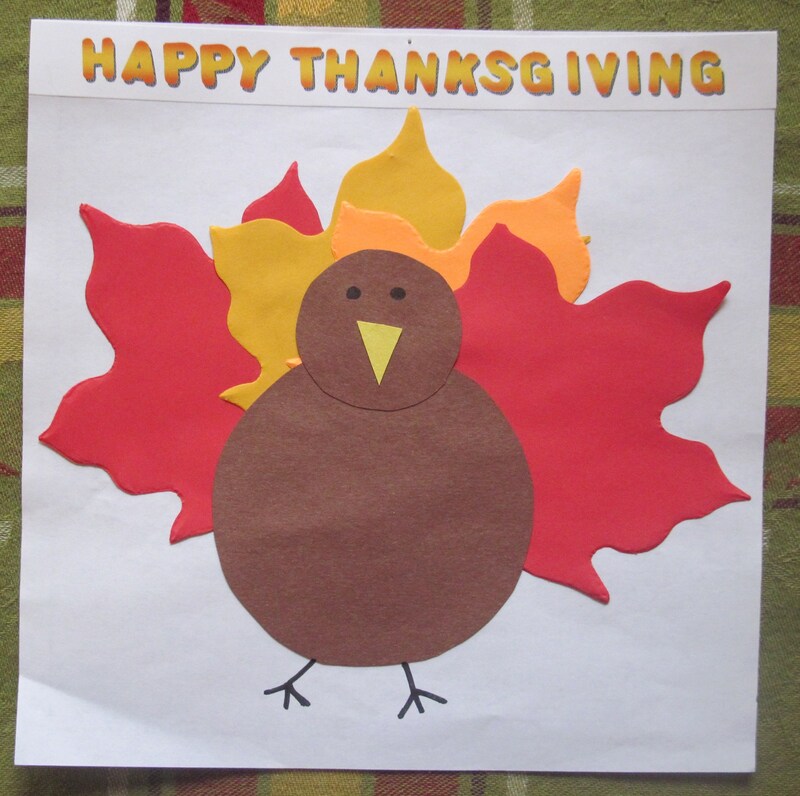 Here is my Turkey Pattern and printable Happy Thanksgiving words. I used die-cut leaves, but they can also be cut out by hand.